A Commercial Pilot license permits you to carry passengers and cargo for compensation or hire. After earning your Private Pilot license, the Commercial Pilot license is the next step for pilots wishing to improve their skill and knowledge levels or if they are on the Career Pilot Program. The completion standards are higher for commercial pilots and the majority of costs associated with this rating are from building hours to meet the FAA experience requirements. The Commercial Helicopter Pilot course syllabus is designed to build upon the aeronautical knowledge and skills learned during the Private Pilot Helicopter course. At the end of the Commercial Helicopter Pilot Course, you will have acquired the aeronautical knowledge and flight proficiency necessary to pass the FAA Commercial Pilot exam. 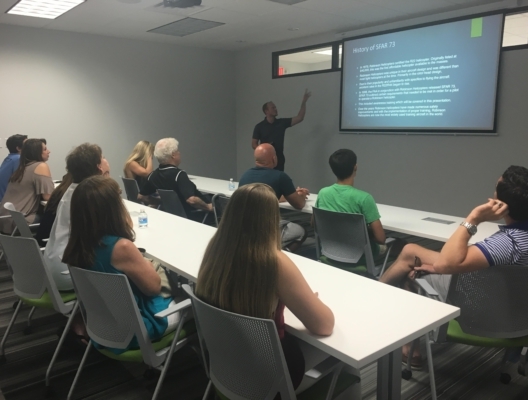 You will then be able to fly for hire or continue on to the Certified Flight Instructor course if following the Career Pilot Program. 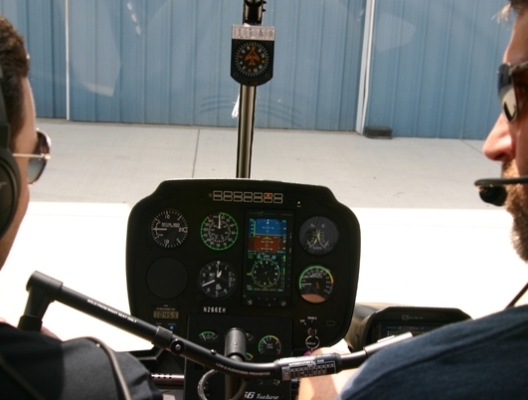 The Commercial Helicopter Pilot course includes the Part 141 Instrument Rating course. Hours and prices are based on the completion of both courses concurrently, which is the most efficient use of your training funds. Pilots who already hold an instrument rating or with previous applicable experience, please contact our flight academy for a custom training solution to meet your needs. Applicants must have a Private Pilot certificate for helicopters. If a non-U.S. citizen, the student must undergo the flight training application process mandated by the Transportation Security Administration (TSA). * Students may train at an earlier age, but the student is not eligible for a commercial pilot check ride until the age of 18. ** Hours are based on Part 141 FAA minimums, not average completion times. Rates listed for the R22 are block rates, available when customer chooses cash deposit option of $3,000 deposit increments. Add $10/hr for regular rate on R22 aircraft rental if not choosing block payments. Prices for books & supplies, the knowledge test, the FAA’s practical test and your medical certificate may vary. For pilots with previous helicopter experience, Part 61 is a option with a tailored curriculum based on your needs. Please call for additional details and pricing. How Long is the Commercial Helicopter Pilot Course? A Commercial Pilot candidate will realistically take 16-20 weeks to complete the Commercial Pilot Course if their schedule is free of other obligations that keep them from studying and flying at least five days a week. Course completion time depends largely on your availability and uninterrupted funding. 5 hours of instrument training are required by FAA regulations to satisfy the aeronautical experience requirements of the Commercial Helicopter Pilot license. Instrument training involves learning to rely solely on aircraft flight instruments, compared to flying with visual reference to the ground. If you are on the Career Pilot Program, the Commercial Helicopter Pilot Course and Instrument Course can be taught simultaneously to save you time and money since the requirements of each overlap. 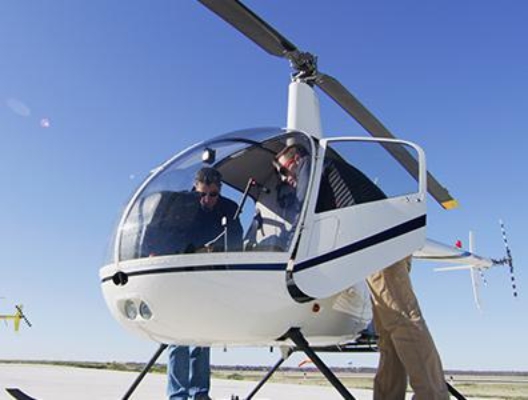 What are the FAA's Flight Training Requirements for Commercial Helicopter Pilots? If the candidate holds at least a current third class medical certificate, a new medical certificate is not required before taking the practical test. However, a second class medical certificate is required if the candidate wishes to exercise the privileges of a Commercial Helicopter Pilot after passing the FAA practical test. That is, flying for compensation or hire.